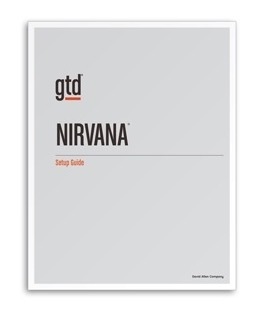 We’re excited to release a guide that many people have requested over the years–GTD & Nirvana. This elegant app, built with GTD in mind, is a great option for managing your lists. Available as a PDF download from the GTD Shop. Not a Nirvana user? We also have GTD guides for many other popular tools we have found to work well for implementing GTD.